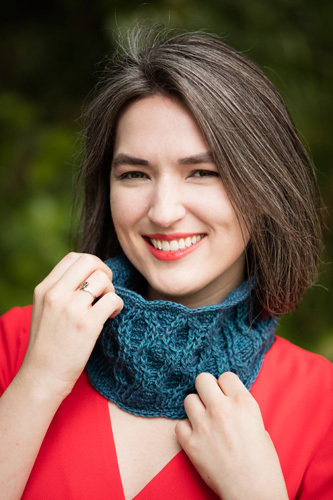 Learn to crochet traveling cables with this delightful cabled crochet cowl with a face-flattering scalloped edge. Kit includes two skeins of yarn and a print copy of Interweave Crochet Fall 2016. If you would like to see the kit in a different color, we do have Ametrine Colorway Kits available! Crochet a cozy and stylish cowl to beat the wind and chill. Tiny post-stitch cables meander across a half double-crochet background in this textured cowl with a face-flattering scalloped edge. Road to China Light will show off your meandering cable stitch work while keeping the cowl light. The complex tones of the yarn will mesmerize you as your cables ebb and flow up the body of the cowl. When autumn's chill surprises you, you can crochet this engaging project in a weekend. Then you will immediately want to crochet another for a friend. The Interweave Crochet Fall 2016 issue celebrates crochet cables, with big cables and little cables, rich crossed post-stitch cables and light traveling cables, in projects ranging from an entry-level cowl to an ambitious cardigan and pullover. 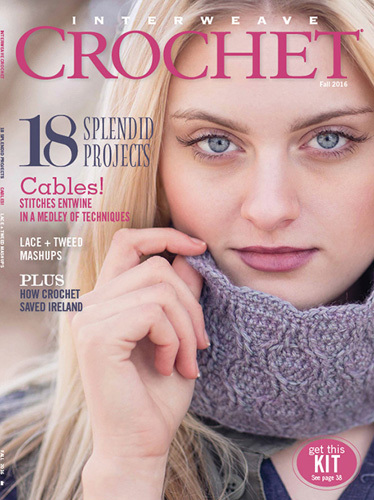 For those who haven't crocheted cables before, we include tutorials to get you started. Noncable projects include garments and accessories with rich textures and colors. All of these projects introduce innovative techniques that will engage your hook and enhance your autumn wardrobe. Also included is Dora Ohrenstein's third installment on crochet history. Altogether, there are 18 splendid projects to keep your hook busy through the fall. Tiny post-stitch crochet cables meander across a half double crochet background in this textured cowl with a face-flattering scalloped edge. Wear it up as a crochet headband or down as a cowl. Finished Size: 4¼ " wide and 19" circumference. Yarn: The Fibre Company Road to China Light (65% baby alpaca, 10% cashmere, 10% camel, 15% silk; 159 yd [145 m]/1¾ oz [50 g]; ): #690 ametrine, 1 skein. Hook: Size F/5 (3.75 mm). Adjust hook size if necessary to obtain correct gauge. Notions: Yarn needle; st marker (m); rust-proof pins. Gauge: 20 sts = 4"; 12 rows = 2¼ ". Enjoy working with two skeins of Road to China Light, a 3-ply strong, soft, and shiny yarn with both drape and body in saturated colours with subtle duotones. Crochet your kit in a delicate and soft lilac shade with Ametrine or go for a more bold look with the vibrant blue Lapis. 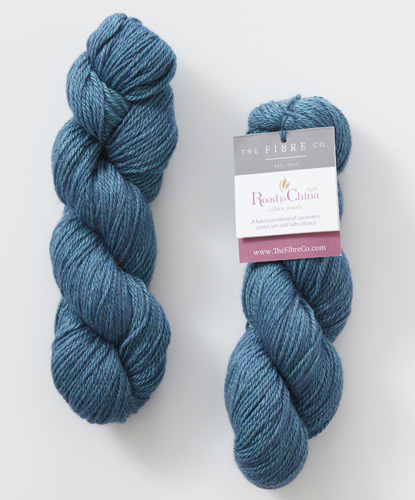 This yarn is distributed by Kelbourne Woolens. 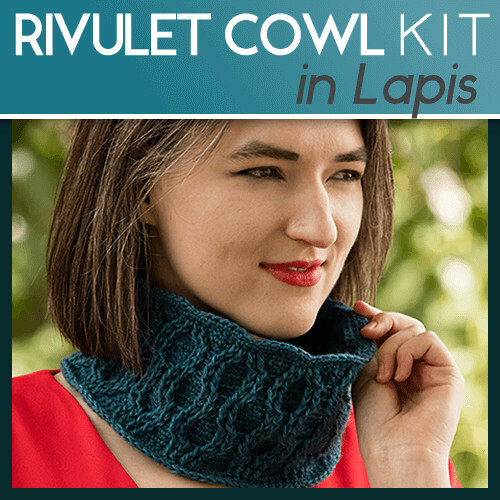 Order your Rivulet Cowl Kit today!